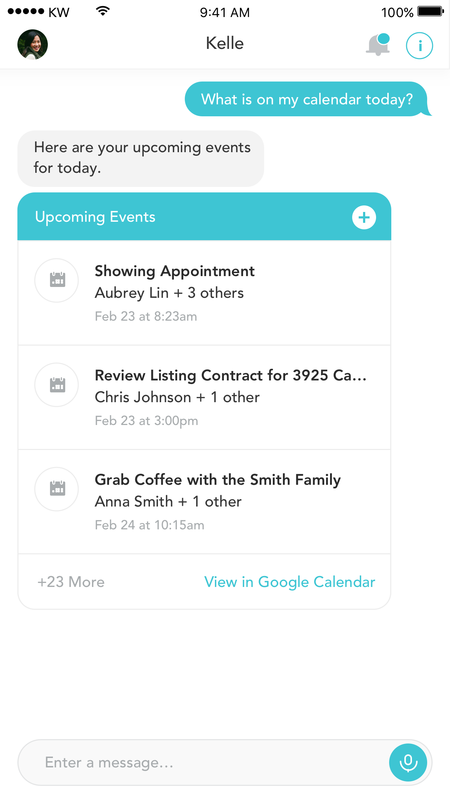 Franchisor’s new voice-activated personal assistant counts 40,000 active users and helps agents look up leads, track goals and connect with others in the KW network. Kelle is a voice-activated interface that allows Keller Williams agents to access databases, company resources and goal-tracking technologies. 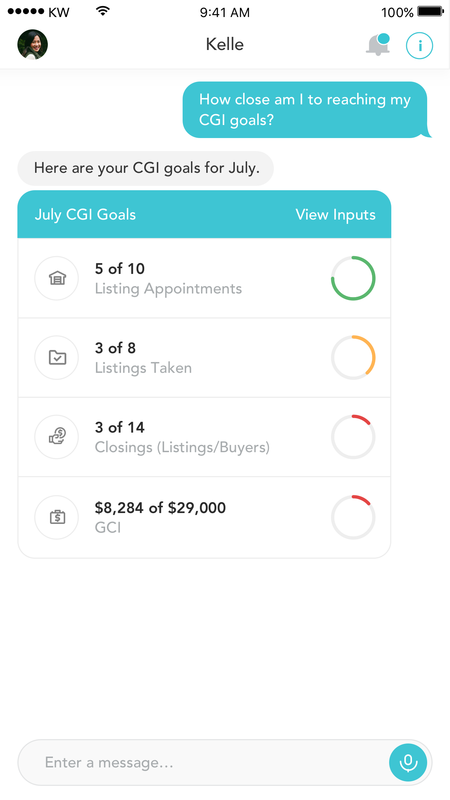 App was designed as the “Siri” of real estate specifically for Keller Williams agents, serving as the main interface for agents’ technology tools. 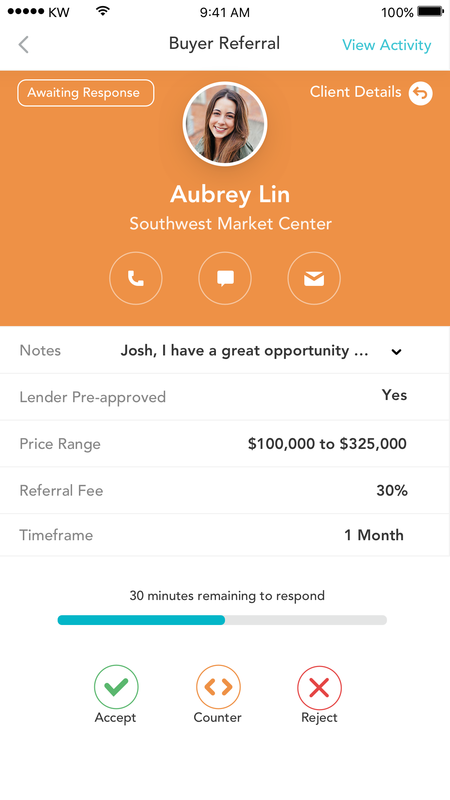 Kelle is a voice-activated business resources app for Keller Williams agents. Kelle is a launch pad for the wave of future tech set to emerge from KW. With that promise made to its agents, can it compete with well-funded, existing proptech and software developers servicing the industry? Kelle (pronounced Kelly) is the vocal point of entry for the evolving library of technology tools Keller Williams offers its agents around the country. I find the app to be an impressive debut and feel it demonstrates a great deal of opportunity for the franchisor. For starters, Kelle is a smart business move for the company as it will ensure agents engage with the software investments being made on their behalf. Kelle’s actual job is to act as an intermediary between users and the more reticent, behind-the-scenes software products that power KW agents’ daily activities. An animated walk-through summarizes features upon initial launch, and Kelle offers some examples of what she’s willing to discuss. You can also text her questions and commands. 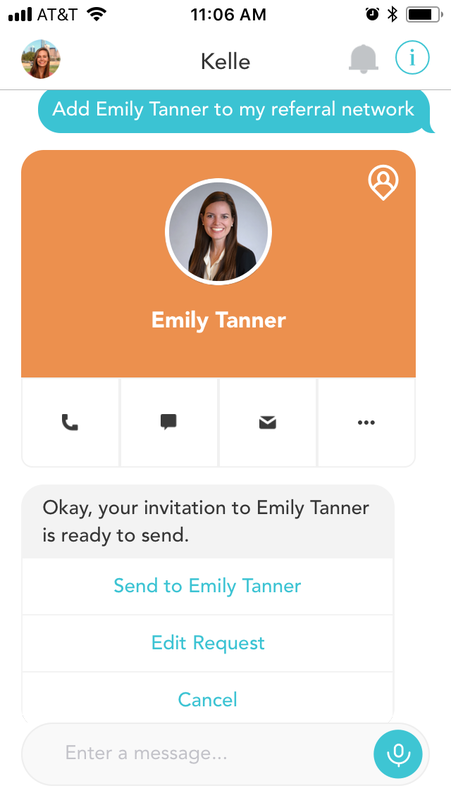 For example, Command is the company’s contact database, and when users tell Kelle to “Add a contact,” the app asks for names, numbers and notes about the person being added. Users can also tell Kelle to add the record to a specific list. Until you experience the efficiency of voice-activated data entry, it’s difficult to explain just how much more convenient it is than manually interacting with a customer relationship management software (CRM). It’s really sharp. The company has plans to expand Command into a much broader workflow platform that will handle transactions and marketing tasks, among other processes. Thus, Kelle’s capabilities will evolve to keep up. Kelle also delivers content from Connect, KW’s company-wide intranet. Agents can ask her to provide training videos, register them for events, deliver company news and reports, or find a KW agent in another market. Career Growth Initiative (CGI) is Keller Williams’ personal goal tracker. Kelle can remind users where they stand on a number of listing appointments or deals closed. It can also provide current and projected revenue status and the number of appointments they’ve taken to date. I brushed off KW’s declaration about becoming a technology company. I found Keller’s speech at first to be hollow, crowd-inspired rhetoric instead of intentional business strategy. (I’ve been hearing similar claims for 17 years.) But I thought more about it while walking through the app last week. The company has a unique advantage over traditional software developers: a guaranteed, built-in customer base. The company can test products in parallel with development, as opposed to building an MVP and waiting for beta testers to drive feedback. However, it occurred to me that for KW to truly become a technology company, it has to dive deeper into the consumer space beyond its standard search app. I prodded KW’s public relations manager Darryl Frost and Daniel Morris, director of product management, about it. There are plans for Kelle to integrate skills from third-party software providers, as well as communicate through voice-activated internet (VAI) appliances, such as Amazon’s Echo and Google Home. A byproduct of this kind of vertical tech integration is that agent data stays close to home. In turn, the company has no friction between its users and development teams, allowing them to easily analyze how agents leverage the technology, establishing a fast, accurate feedback loop on what systems are most productive. However, agents can take their contact data with them … should they at some point tire of selling real estate for a technology company.